If you are ready for a business with a partner, a valid business agreement is crucial. If you and your partners don’t document the key issues and responsibilities in a written agreement, you’ll be unable to settle clashes and misunderstandings that will likely transform into unavoidable disputes. Without a written agreement you are allowing your state law to rule your business. Partnership or business agreement builds a relationship with your partners to suits your business operations. You and your partners can share the profits (or losses). The responsibilities are also distributed among the partners and terms are solved smoothly if any partner left. There are many resources to formulate the business agreement. 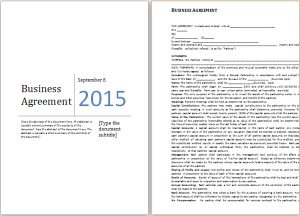 This digital era demands user-friendly operation, therefore, it is possible to utilize free templates available online to craft your own customizable business agreement document. 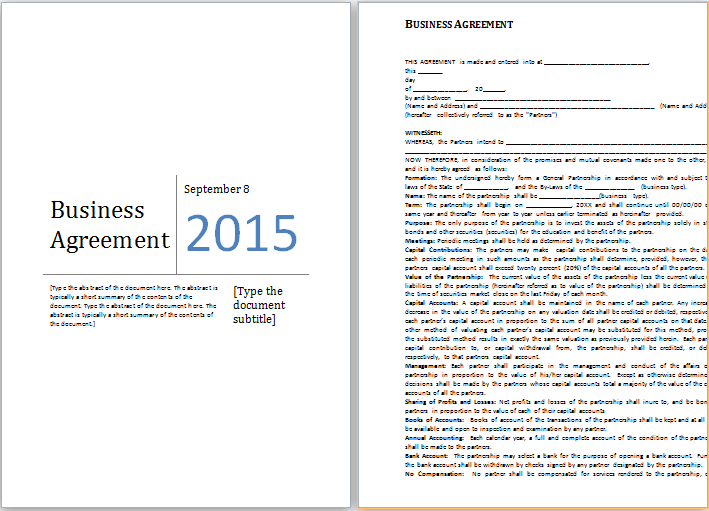 The templates are designed by professionals and can be downloaded for legal purposes, so this time if you are going to involve in a business with a partner, get your choice of agreement template download, fill in the specification and print it for signatures.